a good life. : I'm Alive... I Swear!! I'm so glad you are back! Now life can go on:)...I'm serious....I was holding my breath waiting for your next post, cuz I love 'em!!! Okay can't wait to hear about your trip! LOVES! Thanks for the update Amy!!! I've missed reading your comedic genius! I hope you had a great time and can't wait to hear all about it. So jealous! 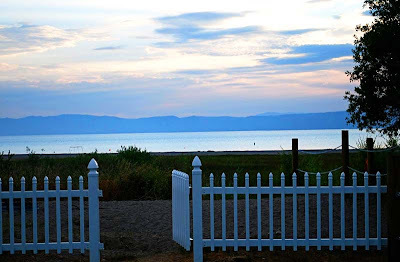 We love Bear Lake. Are you feeling better yet!!?? ?